Dine Italian style with renowned Chef Vince Garreffa. 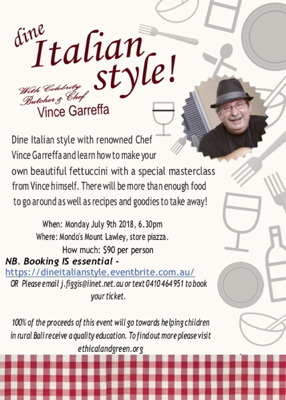 Learn how to make your own beautiful fettuccini with a special masterclass from Vince himself. There will be more than enough food to go around -- as well as recipes and goodies to take away!